"Excellent work ethic----prompt----will hire this company again!" "Professional, Time efficient, Personable, Works to perfection Have worked with this electrician numerous times. Work is stand up. Work is done timely and efficiently. Price is right. Trustworthy. We had our boiler wired, landscape lighting done, bathroom exhaust fan changed, kitchen fan replaced, wired my jacuzzi and pool, and had him wire my backyard shed with lighting and outlets. His work is very neat. Cleans up after jobs leaving no mess behind. His flexible schedule works very well with ours." "Great Emergency Response I had an electrical fire at my house that resulted in my family and I losing our power. Called this electrician who was referred through a friend. He immediately called back and was at my home the same day within a couple hours of me calling him. Completed a whole new service change that day. Thankful my friend referred him as he was so responsive to what we needed. Friendly and very knowledgeable within his trade. 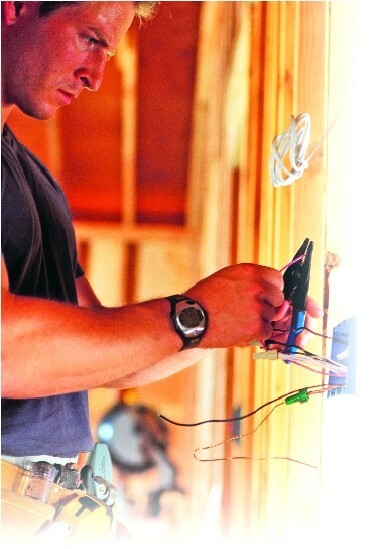 He is a Master Electrician. Highly recommended. " "I had Peter Vitale Electric come to my home to help me with the renovation of my kitchen. He was very professional, friendly and knowledgeable in his trade. We were thrilled with the outcome we received with Peter Vitale Electric. They come Highly recommended from us!"